Admiral's Bridge. Contrary to Hollywood, battles were not usually directed from the bridge. They were directed from the ship's Combat Information Center. However, the bridge would direct steering underway. 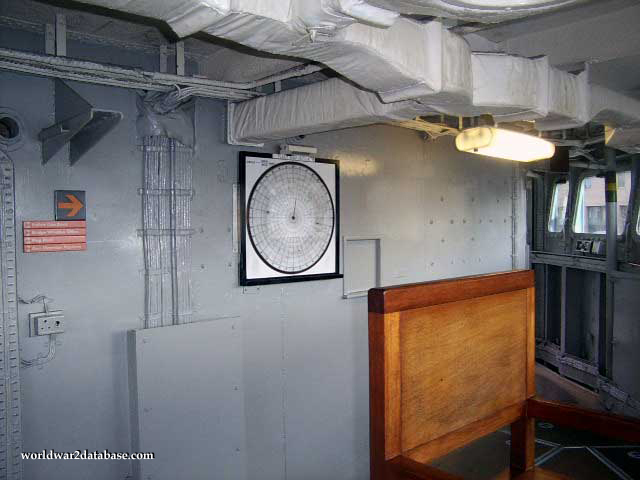 During an amphibious operation, the Admiral would direct the landings from here or from the flying bridge that was accessible from this enclosed area.